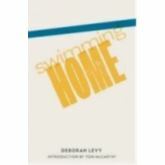 Swimming Home is Deborah Levy’s first novel in 15 years and is short-listed for the 2012 The Man Booker Prize. The book was first published in 2011 by a British independent. It was later picked up by a mass-market publisher and will hit store shelves on October 16. The story is set in Southeast France during the heat wave in 1994. The main characters of the story are Joe Jacobs, a poet who came to England from Poland, right before the WWII, at the age of five; Isabel Jacobs, Joe’s wife, a war-correspondent; and Nina Jacobs, their fourteen year-old daughter. And of course… there’s the stranger, Kitty Finch, a young, beautiful, unstable, would-be poet and, so called, botanist. You can find familiar elements in the book, two families, a middle-class holiday, a shared villa, and a stranger. The destruction of The Jacobs’ starts with Kitty’s intrusion into their rented holiday villa. You might think, that a broken marriage is quite predictable when there is a young, beautiful stranger involved. However, with Levy’s allusive storytelling it becomes an even more disturbing story, with vivid and recognisable characters. You can feel the danger, and wildness is waiting just beneath the surface. If you can get passed its confusing opening… a mountain road at midnight; Kitty driving and talking; a man constantly asking her to keep her eyes on the road, that goes on for about a full page. Then we jump to the English family and their friends; and a few pages of bizarre character introduction. Then, finally, we get to the clean and refreshing prose, with its different point of views. Even with the sense of depression and clichés, this short novel is a page-turner. And the twist at the end, even though it shouldn’t surprise the reader, is surprising indeed. Have you read Deborah Levy’s other books, “Beautiful Mutants,” “Swallowing Geography,” “Billy and Girl”? Will you getting the book when it’s released? Let us know in the comments section below.